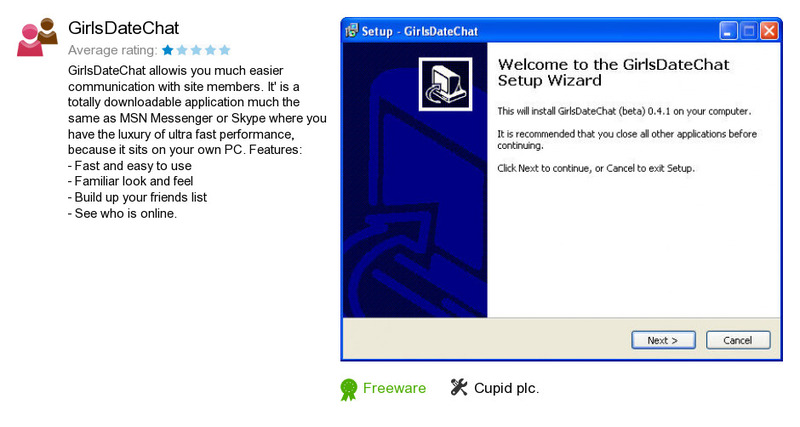 GirlsDateChat is a product developed by Cupid plc.. We know of versions 0.4, 0.4 beta, 0.3. Version 0.4.23 is available for free download at our site. GirlsDateChat installation file has a size of 3,328,143 bytes. Cupid plc. also publishes GirlsDateForFree Toolbar.